The AS-TIM Digital Ballast for HID (high-intensity discharge) lamps have a wide range of applications in commercial and industrial settings, especially in the field of hydroponics. It features our unique patented AS-TIM technology that employs an adaptive sliding-frequency triggering ignition method, which will detect and supply the optimal operating voltage and current for the lamp. This greatly reduces the excess unneeded current that is picked up by the ballast, which will prevent the ballast from over-working and in the long-run prolong the lifespan of both the bulb and the ballast. 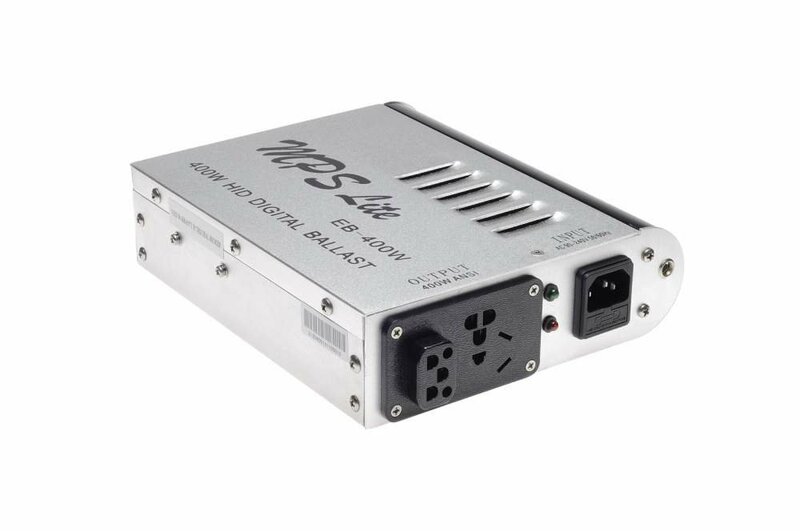 Using advanced electronic circuitry with integrated micro-processor control, this intelligent electronic ballast has a power factor of 0.99, hence an energy saving of up to 10 over traditional magnetic ballasts. In addition, it generates a much higher frequency per unit time, leading to a higher lumen output, which ultimately means that it gives out more light. This feature is greatly favored by the hydroponics industry as the plants can receive more light to grow.